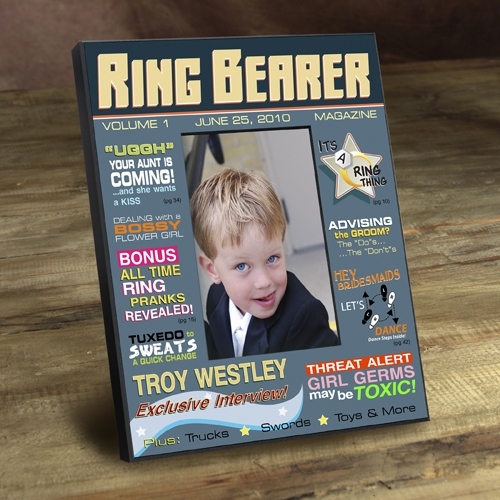 * He'll feel like the star of the show when he sees his photo in the center of our charming Personalized Ring Bearer Magazine Frame! * A terrific way to honor the littlest member of the wedding party, this frame resembles a real magazine cover, complete with "articles" and colorful decoration. * Personalization includes ring bearer's name and date of the event.